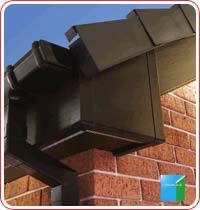 All of our uPVC Roofline products are available in a range of shapes and colours, we can bring along samples for you to view at property. 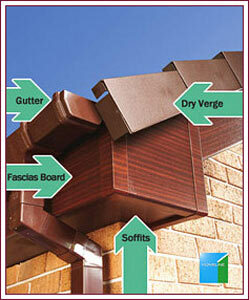 Any roofer or roofing contractor can provide you cheap replacement fascias ,soffits and guttering but very often product quality or installation isn't as good and often the original timbers are just capped over with thin upvc fascia .All our work is total replacement Roofline NOT covered over from a dedicated Roofline team ,We use total replacement upvc fascias . 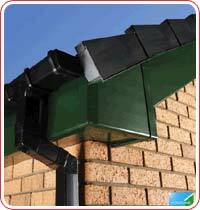 Circulating air in your roof space reduces the build up of condensation which causes damp, mould and rotten timbers. 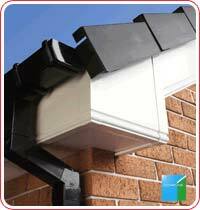 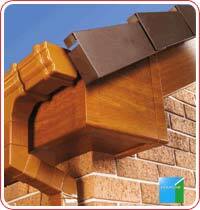 Our Ventilation systems ensure a long-life for roof timbers. 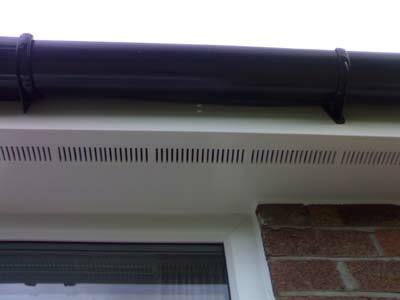 Choose between discreet over UPVC fascia ventilation or continuous soffit air vents to protect your UPVC roofline and roof from moisture retention ensuring you do not get damp into roof timbers We will be happy to provide a free estimate for you to compare our prices and are sure you will be amazed at the cost and quality of our product .